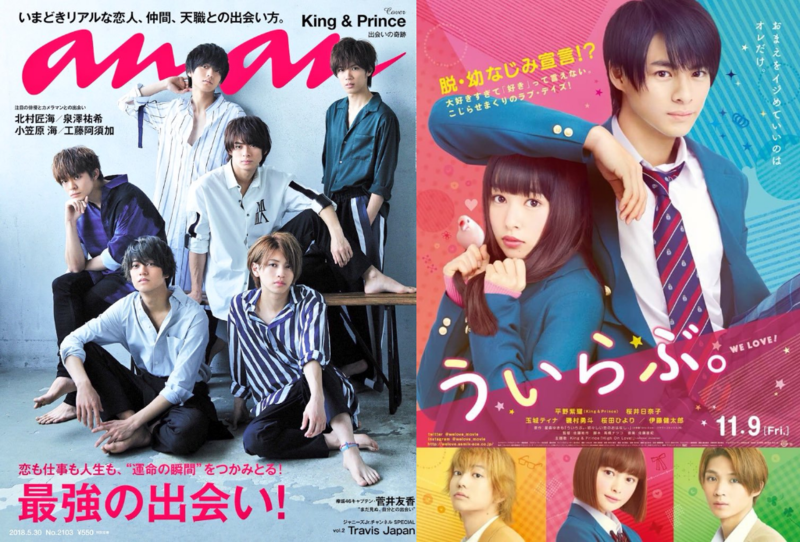 After their successful debut with “Cinderella Girl”, King & Prince is set to provide fans with a new song! It was announced that the group’s latest song “High on Love” will be used as theme song for the live action film “Ui, Rabu” (You, I Love). The teaser trailer featuring the theme song has been released. “Ui, Love” is slated to open on November 9, 2018. The film stars member Hirano Sho with Sakurai Hinako, Tamashiro Tina, Isomura Hayato and Kentaro. It is based on Hoshimori Yukimo’s manga “Uirabu. : Story of Innocent Love”. “High on Love” is an upbeat number with a catchy melody that makes use of repeated “WE LOVE” during the chorus. Hirano Sho is delighted that the group is able to do the theme song for his lead movie for the first time. No further announcements made if the new song will be released as the second single of King & Prince.